The importance of the critical assessment of the socialist construction in the 20th century for the strengthening of the labor movement and for an effective counter-attack. Source: International Communist Review, Issue 2, July 2014. When we made public the subject of our 18th Congress, which, besides the mandatory overview of our work, included as a special subject our conclusions from socialist construction, several friends of the Party wondered whether it was advisable, under the current conditions and while the signs of the economic capitalist crisis had already become visible in the international scene, to focus on such an important issue which, in their opinion, might not have been at the top of the agenda. It is not necessary, of course, to remind the reaction raised in the bourgeois press, the ironic and bitter comments of well-known journalists, who were annoyed by our decision to deal with this issue as they knew beforehand why we took such a decision. Their reaction is quite understandable from their point of view; they have a sharp instinct, they catch everything that can give strength and dynamic to the revolutionary movement. 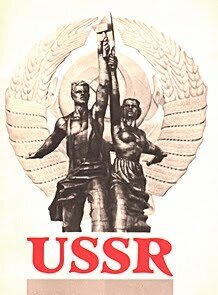 From the very first moment that we realized that the infamous course of perestroika was nothing else but the beginning of the counterrevolution and the temporary defeat of the socialist system, we understood that we had to bear the brunt of giving answers to all progressive people –and to ourselves as well- who were reasonably wondering what happened. Even more so, since it was proved that we were not at all prepared for such a tragic development; we had not anticipated it and, unfortunately, we did not have the appropriate reflexes in order to react, even just before the lowering of the red flag from the Kremlin. Of course, our Party was not a party in power and therefore we didn’t have any direct responsibility in socialist construction. Nevertheless, our position that regarded our Party as part of the problem was quite correct. Besides, the counterrevolutionary storm affected all communist parties, causing internal crises, splits, complete mutation of several parties, confusion and even existential questions to some others. During the first period that determined the fate of socialism in the USSR, namely from 1989 until 1991, KKE entered a deep ideological, political and organizational crisis that led to a split, with a significant number of the members of the CC, led by the general secretary of the CC, leaving the Party. What they were actually supporting was the historical condemnation of the revolutionary movement, of the course of socialist construction and the transformation of the Party to a left opportunist party diffused inside a left alliance, that would restrict itself to certain reforms, to the management of the system. The crisis brought to the surface the existence of a strong opportunist current in the leadership of the Party which enjoyed the approval of the bourgeois political system. The crisis that KKE went through was not merely an imported crisis. We have never attributed it solely to the victory of the counterrevolution and its impact within the Party. The international developments accelerated its outbreak, but, above all, determined the extent of the losses incurred, in the sense that the bitterness caused by the sudden realisation of the backsliding made it difficult for thousands of communists to see from the very first moment the character of the crisis in the Party and led to their demobilization. When the rift in the leadership of the Party has to do with issues of strategy, issues that literally concern the existence of the Party, then the problem cannot be solved by the leading body itself; it can become concealed, although it exists and it can literally dynamite the Party. Under such conditions, splits are inevitable. A split is not a tragic development in a general and abstract sense. It ultimately leads to the expulsion from the revolutionary Party of all those forces -above all of the cadres- who have chosen the path of compromise, who have chosen to play with the rules of the bourgeois political system. In such cases a split leads to the necessary purging, provided that all possibilities have been exhausted and there’s no other option left. If we had behaved in a such a fashion on time, without the unjustified fear of a split (under the specific conditions at the national and international levels) many members and several cadres of the party would not have strayed from the right path; they wouldn’t have been led to demobilization in such a critical period for the popular movement in general. Under the conditions of socialism, right-wing opportunism once again proves itself to be a counterrevolutionary force, a force splitting the revolutionary communist movement. If it is not dealt with on time, if it is underestimated, then it can strike a destructive blow and push the communist movement decades back. The years 1989-1991 were one of the hardest periods of our Party, even compared with the conditions of illegality or with the defeat in the civil war of 1946-1949. The reason is that these previous periods were marked by the existence of the rising communist movement, the formation of the socialist system in Europe and the improvement in the international correlation of forces. Therefore, the difficulties or the defeat in one country could not create such a profound turbulence and disappointment. KKE finally managed to find its way relatively on time, mutatis mutandis of course; it managed to overcome the crisis, to stand on its own feet and maintain, even during that period that all signs were against us, a reputation and an influence among the people. The class enemy embraced the cadres who left the party with all its mechanisms and in all its forms; helping them systematically, while launching, at the same time, an open anti-communist campaign against KKE, using all ideological and political means, as well as the most vile slander. The course of other fraternal communist parties that did not bring the crisis to the surface shows that they did not ultimately avoid adventures. Some of them chose to leave aside the problem of the victory of the counterrevolution, due to the fear of a possible or certain split and engaged in the daily struggle for the immediate and vital problems, without, however, renewing their programme after the enormous negative changes. Irrespective of their wishes and desires, irrespective of their intentions (of course, in certain cases, the intentions were not at all innocent) they had troubles in due course and they still have, as they are exposed to significant and irreconcilable contradictions. A communist party cannot cope with the immediate issues, let alone the medium-term ones, if it does not chart a clear line towards socialism. It will be a trip without prospect that will finally lead to assimilation, to the difficulty to meet the challenges that the daily problems pose. 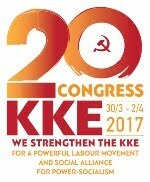 Nowadays, 20 years after the split, under the conditions of a worldwide defeat of the revolutionary movement (temporary, but deep and with long-term consequences), KKE has regrouped itself organisationally, ideologically and politically. It has an increasing political influence; it plays a significant role in the class struggle in our country, while it makes efforts for the regroupment of the international communist movement. On the contrary, the political organisation of opportunism, despite the support it enjoys, has not managed to increase its political influence; it suffers from internal disputes over its tactics, it constantly seeks “renewal”, appealing mainly to several highly-paid segments of the civil servants and to well-placed Intellectuals. We do not underestimate them. Our struggle includes a firm ideological political front against the opportunist views that, under the conditions of imperialism, can strengthen and poison the rising radicalism which has a dynamic tendency under the conditions of the capitalist economic crisis. Even if it is not shaped organisationally, due to its relationship with social democracy, opportunism, as a branch of bourgeois ideology, is always dangerous and corrosive, both in periods of the movement’s decline or counterattack. It is for that reason that opportunist ideas are acceptable among liberal and social democratic parties, even when they criticise the political representatives of such ideas, especially in periods that they seek open and not covert allies. When they have to face a revolutionary communist party, they need them either as views or as supporters of parties that serve as an obstacle to the popular movement. Opportunists are always useful for the system. Both the past and the recent history of the movement in Greece offer plentiful examples. From the very first moment that the ideological-political unity of KKE was restored at the end of 1991, we realised that the strengthening of KKE, its influence on socio-political developments would be impossible unless we provided answers regarding the objective and subjective causes for the victory of the counterrevolution; unless we reached conclusions; unless we answered above all to the working class of our country whether our choice to defend socialism, the October revolution and the USSR was correct or not. We do not forget that thousands of Greek communists were murdered, executed, because they chose not to save their life by signing a statement condemning the CPSU, the USSR and Stalin. We had to assume our responsibility to give an answer to the thousands of questions posed by the members of the party and KNE, by the friends and supporters of the party, but also by well-intentioned people. We have always felt as an integral part of the international communist movement that has a share both in the positive, as well as in its negative aspects. We knew that it was a difficult and responsible task to give answers to an issue of world importance, given that it was not possible to cooperate initially with the communist parties of the former socialist countries since they had been dissolved or mutated. We established relations with new communist parties that were founded in these countries, as well as with Marxist scientists. We managed to collect a significant portion of the material from the discussions held within the CPSU and the scientific institutes, of the different views on the course of the socialist construction, especially after World War II. At the same time, we linked this problem to the international conditions, the international correlation of forces, as well as the situation that existed in the international communist movement. Examining things nowadays, after a considerable time interval has elapsed since 1991, we realise how beneficial and crucial has been our choice to focus our research not merely to the last period, but to the entire course from the very beginning, from the victory of the October Revolution, after we had specified in our Congress that we do not have to do with a collapse, but with a counterrevolution that used perestroika as its vehicle. It was really a bold decision since we knew that it would be a gigantic task; we had to carry out a scientific investigation, not a superficial or emotional approach, of the entire course of socialist construction in the field of the socialist relations of production, in the field of the economy and not merely at the level of the political superstructure as many parties did. We realised that we had to examine the entire course of the unprecedented task of socialist construction, as it was not possible for the founders of scientific socialism-communism to predict the progress of socialist construction and the new problems that would arise. Our decision to begin at the origin of things, our awareness that the counterrevolution was not merely the result of external factors, but also had roots within the very socialist countries, did not lead us to the rejection of the socialism that was constructed. From the very first moment we underlined its superiority, its great, valuable, irreplaceable contribution in international developments, in the struggle of the working class and the peoples. Our investigation confirmed and consolidated the contribution of the socialist system led by the country where socialism was constructed for the first time, namely the USSR. In 1995, after having taken into account the opinions and the comments of the communist parties, with which we had relations at the international level, we held a national Party Conference (following an inner party discussion) that discussed and voted a document with the first conclusions regarding the objective and subjective causes of the counterrevolution. Of course, this document left many issues about the socialist economy and the superstructure unanswered. Nevertheless, it provided us with an essential material that allowed us to defend in an aggressive fashion Marxist-Leninist theory and the theory of scientific socialism in general. We highlighted in a critical fashion the mistakes that were made, the basis that enabled their development, the way in which mistaken assessments and choices paved the way for the opportunist deviation. This document was mainly based on the material from the socialist construction in the USSR. This does not mean that our investigation is not extended to the other socialist countries. However, it was practically easier to focus on the first country that provided the experience of socialist construction. 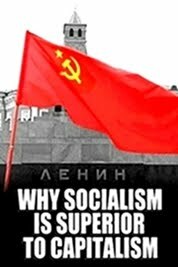 The 1995 resolution provided us with the position that socialism had in fact been constructed, as opposed to the view arguing that state capitalism and workers’ bureaucracy existed in the USSR. It provided us with the position that the counterrevolution had started from the top, from the parties in power themselves. We concluded that the 20th Congress of the CPSU constituted a turning point towards the strengthening of the counterrevolutionary forces, followed by the subsequent economic reforms of 1965. After 1995 we turned a new page in the deeper study of socialist construction, using a more extended bibliography, increasing our cooperation with communist scientists from countries that had constructed socialism, as well as with communist parties, organising seminars and trips, using extensive material which has been translated with the assistance of Marxist scientists. 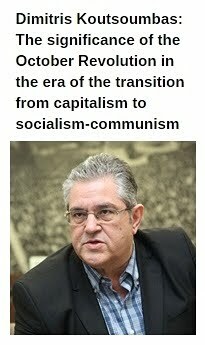 The CC elaborated for a long period a new more comprehensive document that focused on the socialist relations of production, on the field of the socialist economy and in 2008 we formulated a draft document which was discussed two times within the party down to the level of the Party Base Organisations and in KNE. We collected comments, questions, even opinions that expressed a different viewpoint and then this document became a pre-congress document and a separate subject in the 18th Congress that took place in February 2009. The draft text of the theses was sent to all communist parties with which we maintain relations and we asked for their comments and reflections. We were conscious of the fact that such a big issue that determines the character and the strategy of the Party should not be merely a document of the CC, but that it should be approved by the Congress of our Party. The discussion within the party and KNE turned a new page in our action; it changed to a great extent the atmosphere within and around the party, within KNE, among the young people that approach the Party and experience an anti-communist storm. The young people who were born either a little before perestroika or after the overthrow are more vulnerable to the reactionary, un-scientific propaganda. The pre-congress discussion created an atmosphere of confidence that KKE is able to examine with courage and boldness major theoretical issues, to take self-critical positions, to level criticism without resorting to nihilism and the ad-nauseam reference to “mistakes”, without allowing the class enemy and opportunism to utilize this criticism at the expense of the movement. As it is mentioned in the 18th Congress, bourgeois polemics against the communist movement, appearing quite often in the form of intellectual elitism, are aimed against the revolutionary core of the working class movement. It fights in general against the necessity of revolution and its political product, the dictatorship of the proletariat, that is the revolutionary working class state-power. In particular, it fights against the product of the first victorious revolution, the October Revolution in Russia, struggling with fierceness against every phase where the Revolution exposed and combatted counter-revolutionary activities, the opportunist supports, which ultimately, directly or indirectly, weakened the Revolution, both at social and political levels. Nowadays in the modern capitalist societies, in the societies of monopoly capitalism, the material preconditions for the transition to socialism-communism have matured to a great extent, namely there is concentration of production and working class. Unevenness is definitely an important element for the designation of strategic duties e.g. alliances, prediction of the chain that can accelerate the intensification of the contradictions. Nevertheless, unevenness does not justify a different strategic goal, namely a state power different from the workers’ state power; it does not justify an intermediate power between the capitalist and the worker’s state power. The class character of the worker’s state power that the communist party strives is given. Of course it will have to pursue a policy of alliances and maneuver in order to gather and prepare forces. KKE expresses this position with its line for the anti-imperialist anti-monopoly democratic front, as an alliance of the working class with the small and medium sized farmers and the self-employed. 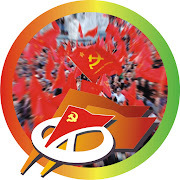 However, the very communist party should not confuse the line for the gathering of forces with its strategic goal; it should not give up its independent, ideological-political strategic position, its independent organizational entity due to its participation in the various forms of the organizations of the alliance. KKE made such mistakes in the past. We have draw conclusions collectively that, in our opinion, are of international importance. Uneven development means uneven political and social development; it means that the preconditions for the outbreak of the revolutionary situation can emerge sooner in a country or a group of countries, which under specific conditions may constitute the “weakest link” in the imperialist system. This is particularly important nowadays, that developments and reshufflings take place in the imperialist system and the contradictions intensify both in within the countries as well as in the imperialist system. Thus, we consider that every Communist Party and the working class of each country have the internationalist duty to contribute to the international class struggle, by successfully utilizing the nationwide crisis for the destabilization–overthrow of the bourgeois power, for the conquest of power and the socialist construction. In the program of our party, which was formed in the 15th Congress, we state that the coming revolution in Greece will be a socialist revolution. Irrespective of the size of the country, its position in the international imperialist system, irrespective of which continent it belongs to, we consider that the new society, the socialist relations which are formed by the revolutionary workers’ state power do have common characteristics. We do not agree with the views arguing about different “models” of socialism and the “national peculiarities” that negate the laws. The reality in each society e.g. the size of the rural population, the level of the means of production etc does not negate the general tendencies and principles. Another crucial issue is to form a unitary perception on a fundamental issue, that is whether the new socialist relations can emerge through reforms, without the profound clash-overthrow with the bourgeois power and its bodies. Although it has been dealt with, both theoretically and practically, it arises again and exerts pressure on communist parties, that often declare their faith to Marxism Leninism. It is a fundamental issue for the strategy of the communist movement. In our opinion, the action of the worker’s and people’s masses during the revolutionary situation entails the challenging-clash with all the bodies of the bourgeoisie till their demolition and the formation of the new organs of the worker’s state power. extends during the entire course for the consolidation and dominance of the communist relations, till the complete eradication of the classes. One of the most significant conclusions is the highlighting of the character of the socialist society as an undeveloped form, as an initial stage of the communist society. We saw that, although Marx, Engels and Lenin had a clear theoretical position on the character of socialism, in practice this position was interpreted so as to suggest a consummate distinct society whose development would lead to communism. Irrespective of intentions, this arbitrary division of the communist society into socialist and communist societies constituted the basis for the strengthening of opportunist views, both in the field of the socialist relations of production, as well as in the field of the superstructure. It undermined the character of the dictatorship of the proletariat, of nationwide planning; it undermined the character of the Communist Party, as an ideological political vanguard of the working class during the consolidation and the development of the new society. It undermined the character of the central planning and finally led to the weakening of the socialist relations of production, instead of their reinforcement. On this basis, we can explain the strengthening of the counterrevolutionary forces on the political superstructure. Our party believes that according to the theory of Marxism Leninism as well, socialism is the immature communism, that is the lower stage of the communist society; namely communism, which is just coming from the bowels of capitalism and has to be based on the economic-technical basis inherited by capitalism. Nevertheless, the main laws of the communist society are valid in socialism: the socialization of the concentrated means of production, the expanded reproduction aiming at the satisfaction of the social needs, the central planning, the workers’ control, and to some extent the distribution according to the needs (e.g education, healthcare etc). Due to the very immature character of socialism, a part of the social product (those destined for individual consumption) is distributed according to the principle “to each according to its labour”. We take into account the theoretical struggle in the USSR and we will continue our investigation on this issue. However, our party believes that the perception and the policy which regards the law of value as the basis for the distribution of the social production constitute a violation of the socialist relations. The specific, temporary choice to give a higher remuneration to the specialized and managerial labour is a different issue. In socialism the only “measure” of labour is the labour time, that symbolizes the planned individual contribution to the formation of the total social product. We highlight the need to investigate further the issues that concern the wage policy followed in the USSR and the other countries of Eastern and Central Europe. The starting point of the socialist construction is the immediate socialization of the concentrated means of production. Taking into account the current dimensions of the capitalist economy, we refer to the strategic sectors that capitalism itself has concentrated into huge stock companies and monopoly groups. New Economic Policy is utilised nowadays in order to justify the extended concessions to the capitalist relations, as in China, where they have now dominated, and in the USSR in the last years of the 1980s. We believe that NEP was a specific particularity in Soviet Russia after the civil war and the foreign intervention. 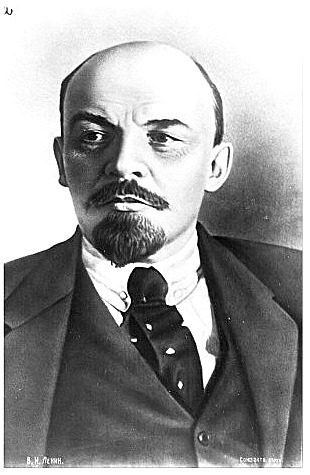 Lenin regarded that NEP had a short–term character, as a need for the transition from war communism due to the imperialist intervention and the civil war. The prospect of the abolition of NEP in the near future was clear for Lenin. The point is that the workers’ revolutionary power must plan and act with the aim to abolish the exploitative relation between salaried labour and capital. In that sense, we consider impossible the long coexistence of communist and capitalist relations in the framework of the socialist construction. As the experience in the USSR showed, the question “who-whom” will soon emerge in practice. Communist production – even in its immature stage – is directly social production: the division of labour does not take place for exchange, it is not effected through the market, and the products of labour that are individually consumed are not commodities. Commodity money relations cease to exist with the eradication of the elements of the old system that reproduce them. This is not realised spontaneously but consciously, through the policy of the workers’ state power. This means that the dictatorship of the proletariat must have a policy for the eradication of the elements of the old society and the participation of every individual labour to the direct social labour. We accept the existence of commodity money relations in the exchange of products between the socialist and cooperative production. Nevertheless, the direction of the socialist construction must be the eradication of the commodity-money relations and it should be followed by the appropriate policy, namely by measures for the acceleration of the process of merging the smallest forms of cooperatives with bigger ones, for the development of bigger forms of cooperatives, their maturation -from the view point of material conditions- so as to pass to the direct social production. We understand that several countries as for instance Greece, which has relatively wider strata of small commodity producers (e.g. in agriculture), require the alliance with such strata during the process of the socialist construction to be ensured through the productive cooperatives that will be subjugated to the central planning, as a transitional form aiming at the formation of the material and subjective conditions for the substantial participation of the self employed in the direct social production, for the complete socialization of the means of production. We support the principle of the central planning in the economy, production and the distribution of the manpower and the distribution of the products of the socialist production and we believe that nowadays we should investigate how the Communist party can guarantee in each phase the timely and complete utilisation of scientific technical achievements in the central planning, so as to express the socialist laws as a product of the subjective factor and therefore function effectively as regards the goals of the extended socialist production and distribution. From this point of view, we regard, as mistaken the political choice, that held sway after the 20th Congress of the CPSU and especially after 1965, regarding the utilization of the mechanisms and the laws of the market for the correction of mistakes and the overcoming of shortcomings in the central planning (e.g. enterprise profits, establishment of enterprises’ self-management etc.). In socialism at the level of power corresponds the revolutionary dictatorship of the working class which is a prerequisite for the transformation of the social relations and above all of the relations of production and the superstructure as well. Dictatorship of the proletariat , despite the slanders of the bourgeois and petty- bourgeois propaganda, is the very type of state that manages to de-marginalise the proletarian masses as opposed to the bourgeois parliamentarianism. The attraction of workers’ masses to the organs of the state power, which are built on a productive base, in social services etc, has to do with the ability of party and the confirmation of its revolutionary leading role in practice. In these organs, with the assistance of the respective party organizations, the working class learns how to perform the three functions of power: how to decide, how to perform and how to control. Another special issue for the revolutionary workers’ power is to attract the non proletarian or semi-proletarian strata to the prospect of socialism. This entails the plan of respective organs e.g. in the cooperatives, in the self-employed. The Resolution of the 18th Congress on socialism signalled the transition to a new phase of ideological and political counterattack. The investigation of socialist construction helped us to enrich our perception on socialism that we had elaborated in 1996 in the 15th Congress of our Party. The document on socialism does not merely help us to answer to the class enemy. This is one aspect, but we didn’t have only this goal. Having clarified in the collective consciousness of the party what socialist construction is, how the problems of socialization, of social stratification, of the class struggle that sharpens are being solved, what happens with commodity-money relations, with planning and programming, with worker’s control, we can improve today our ability to link our tactics with our strategy, to propagate to the people our alternative which is linked with the problem of power. When we highlight the gains that were achieved under socialism, that despite the mistakes, the omissions and objective obstacles due to the negative correlation of forces were unprecedented and incomparable to those of the working people under capitalism, we not only expose the slanders, but we also prove that there exist possibilities to solve workers’ and people’s problems, that there is a solution and a prospect. 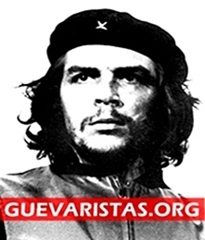 We give a substantive content to our struggle against bourgeois ideology, against reformism and opportunism. International opportunism has regrouped itself in Europe through the European Left Party, utilizing the victory of the counterrevolution, the disappointment and the confusion that followed. In other continents e.g. in America it tries to promote the social democratic perception on socialism and to manipulate radical progressive parties and movements that are in a process of awakening. 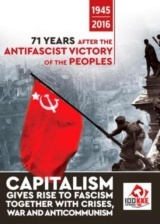 The Greek communists who have accumulated experience of 92 years of continuous struggle do not have the right to forget that the bourgeoisie supports every ideological and political deviation from the principles and the laws of the revolutionary movement, of the theory of scientific socialism. The attack of the bourgeoisie focuses on the issues of “socialist democracy” and is particularly intolerant vis-a-vis the period in which the socialist base of the USSR was constructed, because it was that period that determined the victory of socialism. We move on to the further study and enrichment of our programmatic perception on socialism, with collective spirit, awareness of the difficulties and the shortcomings and class determination. We accept that the future historical study by our Party and the communist movement internationally will definitely shed more light to the experience from the USSR and the other socialist countries. Some of our assessments might need to be completed, improved or deepened. Furthermore, the development of the theory of socialism-communism is a necessity, a living process, a challenge both for our Party and the international communist movement, nowadays but also in the future. 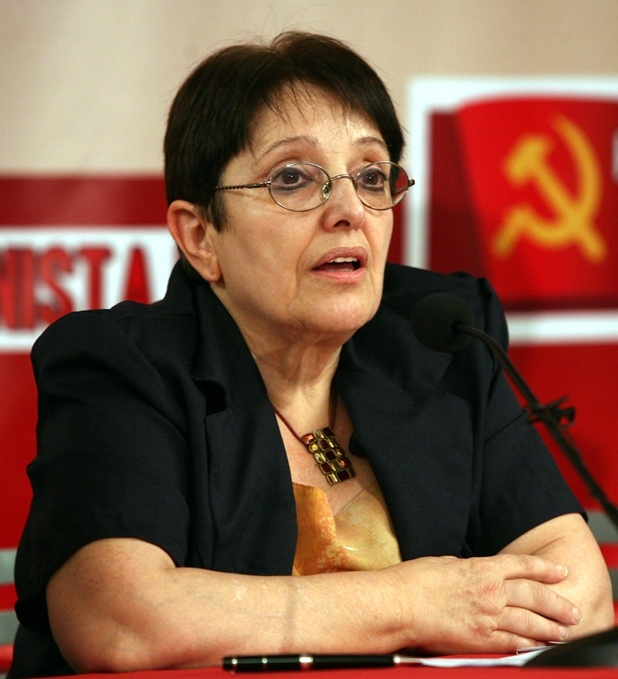 *Aleka Papariga was the General Secretary of the CC of KKE from 1991 to 2013. She is currently member of the CC.